Washington (AP) – The amount of heat-trapping carbon dioxide in the air jumped by the biggest amount on record in April, a rise amplified by El Nino, scientists say. 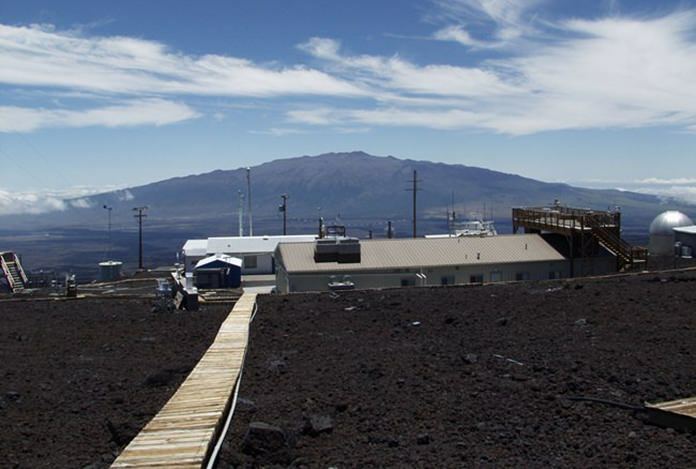 Carbon dioxide levels increased by 4.16 parts per million in April compared to a year earlier, according to readings at the National Oceanic and Atmospheric Administration’s Mauna Loa Observatory in Hawaii. Until this year, the biggest increase was 3.7 ppm. Records go back to 1950. April’s carbon dioxide level of 407.42 was a record 2.59 ppm rise from March. Carbon dioxide levels are cyclical, peaking in May and then dropping until fall. That’s on top of a steady 2.5 to 3 ppm yearly increase from the burning of fossil fuels, which means each year the world sets new record for levels of heat-trapping gas in the air. El Nino is a natural warming of part of the Pacific that changes weather worldwide and warms the globe a bit. In many places El Nino means more drought and fires, which release more carbon dioxide into the air and decreases carbon dioxide sucked up by plants, said NOAA senior scientist Pieter Tans, who keeps track of greenhouse gases. Butler said scientists need to watch measurements over the next several months or even a year to see how much of this large increase is an El Nino-driven blip that will go away as the weather phenomenon fades and is replaced by its cool flip side, La Nina. It’s not just that carbon dioxide levels are growing, but that they’ve been growing at a record faster pace over the past four years, even without El Nino, Tans said. “The El Nino boost is on top of the large emissions from fossil fuels which continue at a high level,” said Ralph Keeling, who directs the carbon dioxide program at the Scripps Institution of Oceanography. 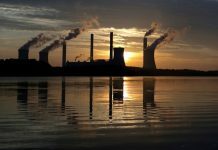 A recent study shows a slowing and even leveling of carbon dioxide spewed by the burning of fossil fuels. There’s a five-to-10 year lag before those changes are noticeable in the atmosphere, so emissions are a better indicator of progress – or lack of it – in fighting global warming, said Corinne Le Quere who monitors emissions at the University of East Anglia in England. The trouble is, even if emissions stop growing and plateau at the current amount, carbon dioxide levels in the air will continue to increase “because carbon dioxide doesn’t disappear really” from the air, Tans said.